The Keto Diet, or "ketogenic diet" as it's properly known, has been shown to help improve satiety, support balanced blood sugar levels, increase energy, and provide relief for those suffering from digestive disorders such as IBS. So naturally, we've explored this diet pretty well! But don't let that discourage you. We're covering 4 main points in today's post to help you better determine if this diet is best for you and your body. If you're suffering from IBS or SIBO, chances are your liver, gallbladder and/or bile production is sluggish. This results in poor digestion of fats which can directly lead to bloating, gas, constipation or loose stool. Clearing existing bacterial infections in the gut. This is key for helping to improve the function of digestive organs. Our Gut Restore Program tackles this head on, so it's a great option if you choose to work with us! if you work with us. Doing a liver detox. Again, supporting liver function through enhancing its detoxification capabilities is a key factor in improving liver and gallbladder health so you can better digest and tolerate foods. Taking digestive enzymes, either with ox bile or betaine HCl (hydrochloride). HCl not only breaks down protein but also stimulates digestive organs to produce their own bile to assist in break down foods - including fats - much more efficiently. Chronic constipation often occurs with those starting a Keto Diet, and once again, is related to a slugglish liver and gallbladder function. One thing we want you to remember is that it's hard to see success immediately. Not only with the Keto Diet, but as a rule in life! It can take trial and error and figuring out what works for you. One of our favourite things to recommend for constipation is taking a magnesium citrate supplement. Some people need higher or lower amounts, so start slow with 1/2 tsp in water and increase if needed. Magnesium citrate draws water into the bowels to stimulates a healthy, full bowel movement. For more tips on overcoming constipation, check out our video here. The Keto Diet is often better tolerated in those with IBS due to the much lower consumption of carbohydrates (that can be a major symptom trigger for many). But just because you're on a Keto Diet eating high protein and fat, doesn't mean you're off the hook for food intolerances. If you have food intolerances with any of the the high protein or fat foods you're eating on a Keto Diet, it's wise to consider doing some repair work first. A leaky gut protocol or our Gut Restore Program is a great first step before making a concrete decision as to whether you should stick to a Keto Diet. When you switch to a therapeutic diet like Keto, it can be pretty overwhelming. From list planning to grocery shopping to finding recipes, if you've dealt with eating disorders or binging in the past, this lack of control can be a major trigger for many. The solution is to take your time. Don't put pressure on yourself or feel you need to figure it out right away; it takes time to find your flow. If you're feeling a little lost or not eating "strict keto" perfectly, that's 100% okay and part of your journey! Simply learn from the roadblocks and create a better plan for the week ahead. Even more important is to tap into your resources: a therapist, friend or family member, or self-care rituals to help ease you through the process if food is triggering for you. So there you have it. 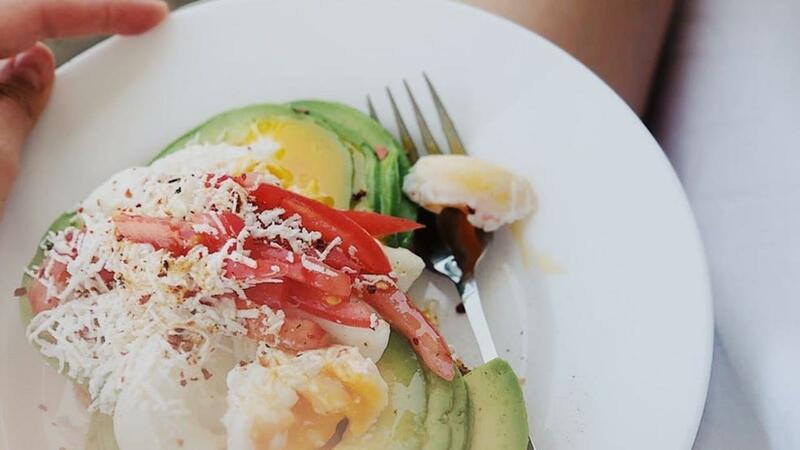 We hope this post was able to shed some light on whether or not the Keto Diet is right for you! Have you ever tried the Keto Diet? How did it go, or how is it going, for you? As always, reach out to us if you have any questions!